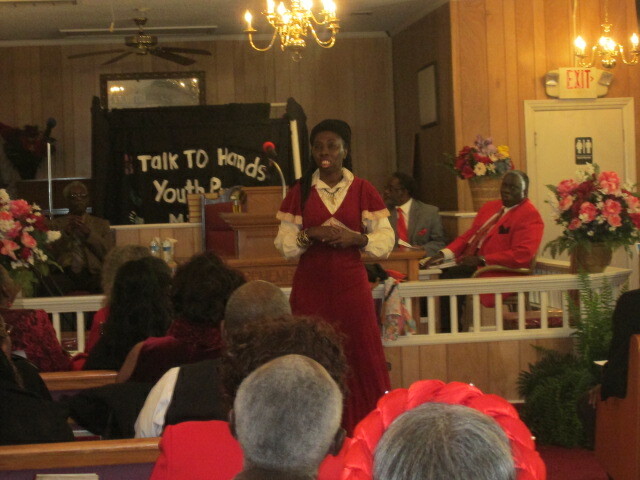 Queen Quet, Chieftess of the Gullah/Geechee Nation (www.QueenQuet.com) at the New Road Baptist Church in Ridgeland, SC in the Gullah/Geechee Nation. ← From the Gulf to the Gullah/Geechee Nation-Do Not Drill! Stop the Oil Spill!